Polyvinyl chloride (also called PVC or vinyl) window blinds are a popular window covering. 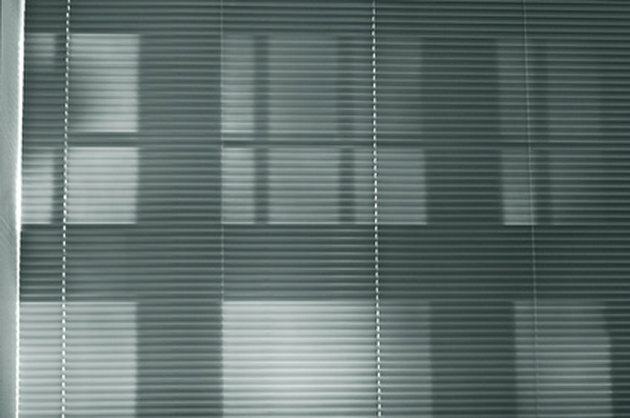 Blinds feature vertical or horizontal slats strung together by cord and installed at the top of windows in homes and businesses. Simple blinds are inexpensive and can be purchased at discount stores. Often less expensive than drapes, blinds are sometimes installed by home builders in new homes as part of the home interior package. 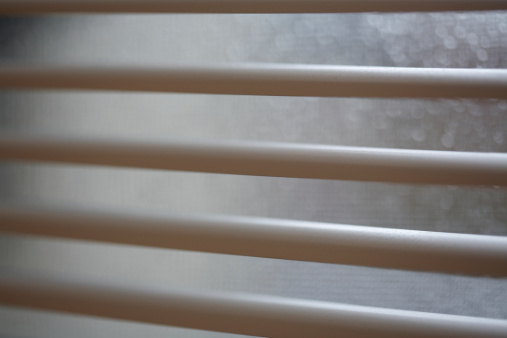 Consumer concern over the safety of PVC blinds has sparked investigations by government departments. PVC blinds contaminate the environment during production, while in use, and while in landfills. PVC is a synthetic plastic product containing many toxic chemicals. PVC is used in a multitude of "plastic" products in multiple industries: bottles, medical supplies, toys, food packaging, household products such as shower curtains and blinds, and construction products such as pipes and exterior siding. PVC is one of the most used plastics in the world. The manufacturing of PVC blinds and other PVC products creates massive amounts of toxic byproducts. Greenpeace tested many vinyl products, among them PVC blinds, which revealed the presence of hydrochloric acid, vinyl chloride, mercury, cadmium, lead and an extremely dangerous carcinogen, dioxin. According to My House is Your House, a consumer education and advocacy organization, these chemicals alone and in conjunction with others may cause a host of medical conditions such as cancer, immune system damage, birth defects, respiratory and neurological damage, organ failures and others. Not only is PVC harmful to the human body, but the environment suffers from the product. PVC accumulates in landfills and continues to contaminate air, water and soil. PVC blinds and other products cannot be recycled due to their high toxicity levels. One of the leading concerns about PVC blinds has been investigated by the United States Consumer Product Safety commission. Lead is used to stabilize the plastic compounds used in the manufacturing of blinds and other PVC products. According to the CPSC, about 25 million blinds are imported each year from countries such as Mexico, Taiwan, China and Indonesia. The investigation determined that PVC blinds break down when exposed to heat and sunlight. This slow deterioration of the PVC leads to lead dust forming on the surface of the blinds. Washing the blinds will not remove the contaminates. Children under six years of age are at the highest risk because they often touch or put their mouths onto surfaces directly ingesting the harmful dust particles. Lead is transmitted through breast milk and through the reproductive system. Lead can cause behavioral, developmental and health conditions. The Consumer Product Safety Commission recommends removing PVC blinds from homes with children or pregnant women. As world PVC blind manufacturers feel increasing pressure from consumer and environmental groups to discontinue producing blinds made from PVC, it is up to the consumer to find alternative solutions to installing PVC blinds in windows. Blinds made from natural fibers such as bamboo and other woods are available in attractive finishes. Blinds made of other inexpensive plastics not containing the harmful products found in PVC are also sold. Fabric blinds and shades were used before the invention of PVC blinds and continue to be offered by manufacturers.